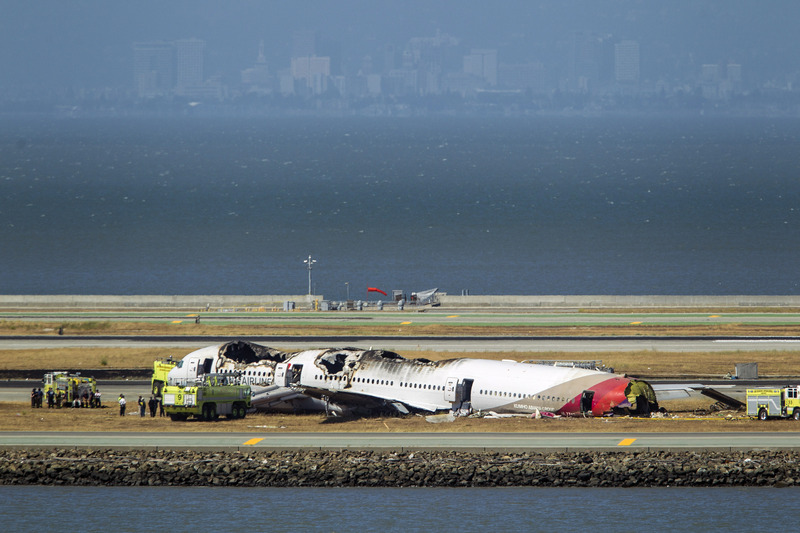 Several things are now clear about what went wrong on the Asiana Boeing 777 flight that crashed in San Francisco's International Airport on Saturday. Investigators say the plane was flying too slow, at just 119 mph before the crash, which is 25 percent slower than the normal descent speed. It was also revealed that at three seconds before impact, the speed dropped even more, and the engines were still at only 50 percent of full power when the plane hit the sea wall. Crucially, it's been disclosed the plane even delivered its own warning sign: a “stick shaker” signal, at about four seconds before the plane slammed the tarmac, informing the pilots that the jet was about to lose its power to stay in the air. As a result, investigators are now focussing on the pilots. Specifically, cockpit voice recordings reveal that the pilots didn't talk about their situation until two seconds before they collided with the runway. "There was no discussion of any problems clearly at a time when one was developing. Both pilots should have seen that something was going wrong," said an aviation safety expert. "Why didn't one of them say or do something?" All four pilots will be interviewed soon. Let's hope one of them has an explanation other than "Er, whoops."